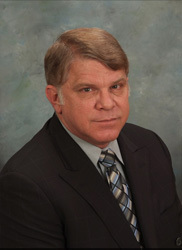 As the Director of Operations of Connected Logistics, Mr. Pratt brings over 30 years of experience leading and managing complex logistics operations, business units and programs in the United States Army and commercial industry. He has relevant expertise in all areas of supply chain management and strategy, including multifunctional logistics, distribution and inventory management, and reverse logistics, with a focus on aligning supply chain strategies with organizational goals and capabilities. As a Senior Director for one the largest package distribution companies in the world, he directed the supply chain engineering efforts and market strategy to capture $220M in revenue. As a Vice President of a major defense contractor he managed a P&L with an annualized revenue stream of $147.5M. Relevant military experience include overseeing the logistical planning and execution of the theater logistical campaign in support of three Joint Task Forces during Operation Iraqi Freedom and orchestrating the largest rotation of forces since WWII as the G4 3rd US Army, Deputy CFLCC-C4. As the senior logistician for the Chief Information Officer for US Forces in Europe, he managed the materiel readiness and logistical support for the theater’s strategic communication architecture and systems.